Fellow SpiderForester Delphina is funding a book for her comic, Sombulus, on Kickstarter! The webcomic is wonderful, and has a surrealist fantasy sort of vibe to it (it’s about a dimension-hopping trio of friends and/or “acquaintances” who get into misadventures in said dimensions; also, the current arc features a character who rides around on a flying toaster). 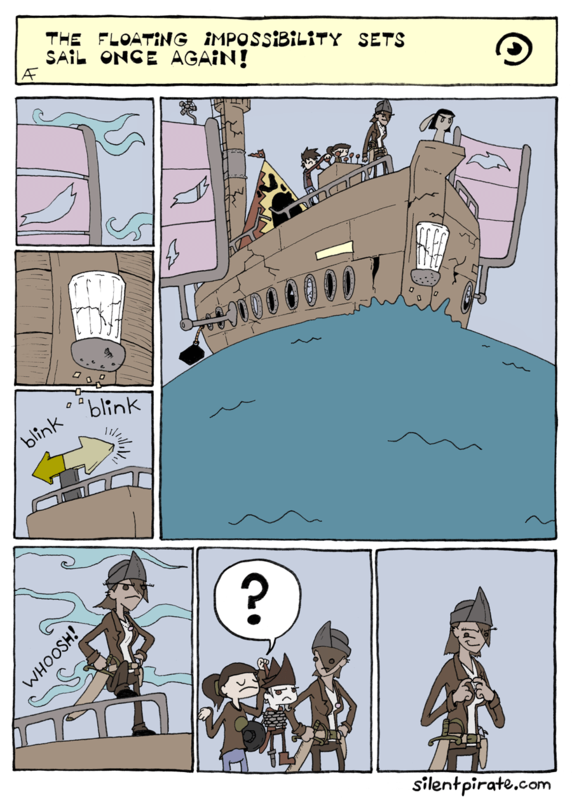 If you like Silent Pirate’s more ridiculous nature, check out Sombulus, and maybe support the Kickstarter? Too bad Chef V.M. Jr. didn’t survive…. Actually, he did! …I, um, just forgot to mention it?